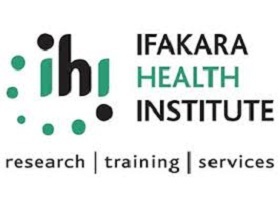 IHI is looking for an experienced Technician to work with a project bearing the title: Targeting Host Seeking Malaria Mosquitoes Using a Trick Evolved by their Parasites. This project aims to assess and develop a novel mosquito attractants based on organic volatiles generated by Gametocyte Circulating Metabolites in the Human Blood (HMBPP) for mass luring and trapping of malaria vectors. The candidate will assist in conducting semi-field and field experiments to evaluate the attractiveness of HMBPP induced lures to malaria vectors. Also, the candidate will assist in recruiting malaria patients and health individuals from community members in the village to compare the profiles of volatiles generated from their exhaled breaths and skin. • Assist the Research Officer in preparation and implementation of semi-field and field experiments. • Assist the Research Officer in mobilizing community members in the village during field experiments. • Assist the Research Officer in data collection, and basic data entry. • Maintain equipment in good order and obtain project suppliers (consumables). • Precisely conduct semi-field and field experiments as well as keeping records. • Provide support to mosquito colony rearing at Ifakara Branch when required. • Maintain a high standard of conduct as required by core IHI values. • Perform regular maintenance tasks associated with semi-field systems. • Follow standard operating procedures and experimental protocol for day to day operations. • Holder of at least an Ordinary Level Certificate of Secondary Education (Form Four). • Further training in Community Health from institutes recognized by NACTE will be an added advantage. • Adequate experience in the semi-field and field entomological research, preferably within the Department of Environmental Health and Ecological Sciences (EHES) at IHI will be an added advantage. • Ability to community in English and Kiswahili languages. • Self-motivation and team building. • Ability to work with communities in rural areas. • Mosquito rearing, collections, identification and storage skills. IHI is looking for an experienced Research Officer to work with a project bearing the title: Targeting Host Seeking Malaria Mosquitoes Using a Trick Evolved by their Parasites. This project aims to assess and develop a novel mosquito attractants based on organic volatiles generated by Gametocyte Circulating Metabolites in the Human Blood (HMBPP) for attracting and trapping the malaria vector masses. The candidate will conduct semi-field and field experiments to evaluate the attractiveness of HMBPP induced lures to malaria vectors. Also, the candidate will recruit malaria patients and health individuals from community members in the village to compare the profiles of volatiles generated from their exhaled breaths and skin. • Act as project leader at Ifakara branch. • Conduct all semi-field and field experiments. • Provide written progress reports of all experiments to the Principal Investigator (PI). • Maintain adequate inventory of supplier for day to day project operations. • Participate in training and supervising technicians in the team when required. • Participate in study design, protocol development, data collection and analysis as well as manuscript writing. • Maintain appropriate relationships between staff within and between units at IHI. • Undertake any other duties that the PI shall reasonably require from time to time. • Check for consents from all village participants before the start of field experiments. • Recruit malaria positive and health individuals from community members in the village. • Ensure the project is conducted according to the research ethical guidelines. • Communicate with other staff within and between departments at IHI regularly at scheduled meetings. • Holder of a Bachelor Degree in Chemistry, Biology, Microbiology, General Science, Zoology and Veterinary Medicine. • Applicants with classified Bachelor degree must have GPA of 3.5 or above. • Experience in malaria research will be an added advantage. • Priority will be given to applicants residing in areas where the project will be conducted. • Ability to manage and lead project team. • Proven interpersonal skills to deal with different scientists, technicians, accountants and administrators. • Excellent written and fluent spoken English and Kiswahili Languages. • Self-motivated and team building. • Computer skills: MS Word, MS Excel and statistical software packages.